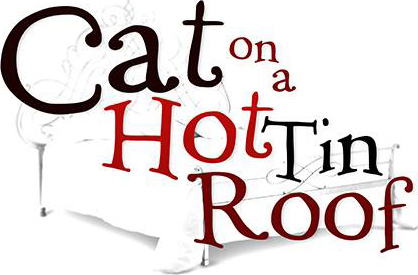 Due to unforeseen circumstances, the run of the Tennessee Williams’ drama “Cat On A Hot Tin Roof” at the Repertory East Playhouse in Newhall has been suspended and the show will not be completing its projected performance schedule. The show was originally scheduled to end June 14, however, an incident during the May 31 performance has resulted in cast members leaving the show with no time to adequately re-cast their parts and provide the quality theatre experience patrons have come to expect from the REP. The next show in the REP’s 2014 season, “Return to the Forbidden Planet,” is in pre-production and will open as scheduled July 11. The REP is celebrating its 10th season of professional live theatre in Santa Clarita and is an anchor of the Downtown Newhall Arts District. It is our mission to produce plays that excite the imagination and nourish the community’s passion for theater. For reservations and further information about the Repertory East Playhouse, please visit our website at www.repeastplayhouse.org or call (661) 288-0000. Well that is quite a spin on the truth, REP fired actor John Lacy so fault is with REP, not the cast. Shame on Ovington! If he had been proactive maybe Lacy wouldn’t have had to stand up for what’s right! I hope that the LGBT community gets wind of this miscarriage of justice and actively protests against REP East until the powers that be get rid of Ovington!! He should be held accountable for not having the intelligence to stop this before it got out of hand AND for firing the only person who had the courage to confront a clearly hate mongering person. It was really easy fix to make the show go on. You choose to pick the side of hate and fire John Lacy and stick with it. Its time that when that word is used it is dealt with as strongly as the N word. John Lacy did that. The press release is lying by omission. What the producers did is disgraceful. I am disgusted that the actor was fired for doing something the cowardly producers refused to. Major respect for Mr Lacy & Mr Troy. They are a class act for standing against hate rather than hiding from the shadows. This is rather pathetic. The statement regrets that the heckler was not brought to their attention sooner – as if they would have done something. All news stories indicate that the abuse went on for quite some time before Mr. Lacy intervened, so the statement is pure bunk. Like so many others, I can see why he intervened, but can also see why it could have caused an escalation. I can definitely see that confrontation could make others in the cast uncomfortable. It wasn’t his to do this – but someone needed to! What kind of idiot goes to live production and chooses to act like a complete troll? Actors are *working* – rather intensely, and many in the audience are too… to feel it, to witness, to understand and appreciate the moment. It’s what makes a live event worthwhile to those of us who attend them. No matter how this goes down, people lost, culture lost, actors lost… and idiocy won. I really hope the drunk guy was charged for causing a scene, or breaking the peace in some way. I think everyone on this thread has at least one thing in common. We are all interested in the truth when it comes to this incident. Before this story spread through the media like wildfire, John Lacy recounted the event on his Facebook page and tagged everyone involved which is how I came across it. That was Sunday. I read the post along with over 150 replies from many people who were there and many more who were not. A lot of information was shared within that thread. Most of that information was NOT shared with the media. Here’s what I know. I have seen many productions at the REP. That theatre is run by professionals who are extremely passionate about what they do. They would never allow their actors, their stage, their theatre to be disrespected in any way. I am confident that had this “heckler” been as disruptive as it’s being made to seem that 1) Someone in the audience would have spoken up to the management or the offender directly and 2) The management would have taken care of the issue without hesitation. Those are the kind of people that run this establishment, not the ones that have been portrayed in the fiction shared this week. I also know that in the end, the REP will continue to produce thought provoking and excellent theatre as they have in the past. What was deleted? No post on scvnews.com was deleted. John Lacy’s original Facebook post regarding the incident was deleted along with over 150 replies. However, John Lacy and Tim Sullivan who are behind this media firestorm have used quotes from that deleted thread to make female cast members that disagreed with the actions taken look bad in the news. Well, if they deleted their own posts, that’s their business. We never delete anything unless it contains 4-letter words. You should be aware that there were 3 separate posts – 3 separate threads – so maybe their comments were on one of the other ones. I read all the facebook posts in question, as I’m sure the media did. Responsible media checks their sources. Aside from that, REP was asleep at the switch and failed in their responsibilities. RIP REP. It’s there loss. Not to worry though, according to Playbill, NoH8 and Actors’ Gang Will Mount Cat on a Hot Tin Roof Benefit After Actor Fired for Confronting Anti-Gay Heckler tonight at 8pm. For ticket information see TheActorsGang website.